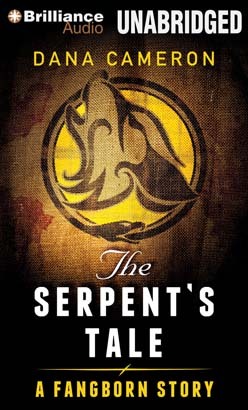 “The Serpent’s Tale” is a Fangborn story set in 13th-century England from the award-winning author of Seven Kinds of Hell. When the villagers of Godestone report a series of bizarre and troubling events, Sir Hugo, his heavily pregnant wife, Lady Alice, and her distant kinsman Father Gilbert are honor bound to investigate, for they are “born to the Fang,” shape-shifters dedicated to fighting evil in secret. And the events are worrying indeed — stolen farm implements, a mutilated goat, and now a missing child. Their investigation is further complicated by the arrival of Robert Fynch, who was drawn to the scene by the tales of mysterious happenings in the village. A member of the fanatical Order of Nicomedia, he is bent on tracking down and killing those “born to the Fang,” believing the shape-shifters to be demons, rather than the protectors of humanity they truly are. Can Lady Alice, Sir Hugo, and Father Gilbert stop a murderer in their village without their true nature being discovered?